Hospital patients are at a heightened risk of developing Legionnaires’ Disease when exposed to the legionella bacterium. Due to weakened immune system, or pre-existing health conditions, those in hospitals represent the portion of the population that require special attention, and an increased level of protection. Hospitals have a responsibility to their patients with respect to maintaining a clean water system free from the legionella bacterium. The mortality rate of legionnaires’ disease is highest among those with pre-existing health conditions, so proper maintenance of the water systems within a hospital is of paramount importance. 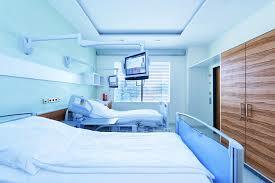 Are control metrics in place to ensure patient safety and minimize legionella exposure risks? Is regular legionella sampling and testing performed to ensure control metrics are working effectively? Are you doing what is need to minimize your liability risk? Professional sampling and testing can help to identify the possible sources of a potential legionella infection and assist with the overall management of your water systems. With proactive legionella testing and a solid monitoring/management plan, the hospital not only aids in the prevention of Legionnaires’ Disease, but also greatly reduces their liabaility risk. Call us today and speak with one of our experts to learn more.